Where do they belong? 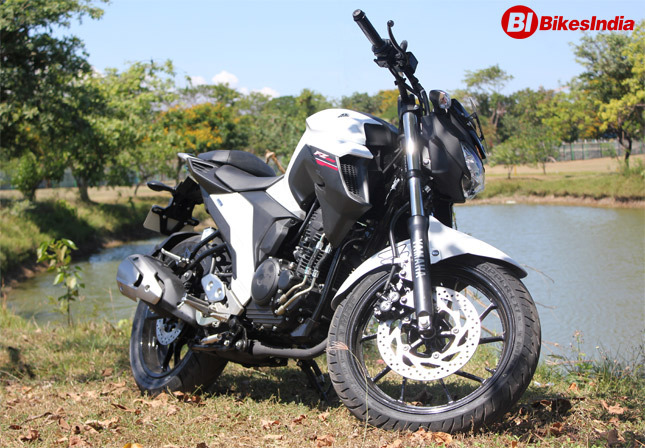 The Yamaha FZ-25 was made and developed especially for developing Indian markets like India, Thailand, Brazil etc. The equipment on the bike dictates the same. With a large single cylinder, Yamaha has tried to curb the cost by using a 2-Valve engine instead of 4, but they have installed a Fuel Injection System to go along with it, in order to maximize efficiency. 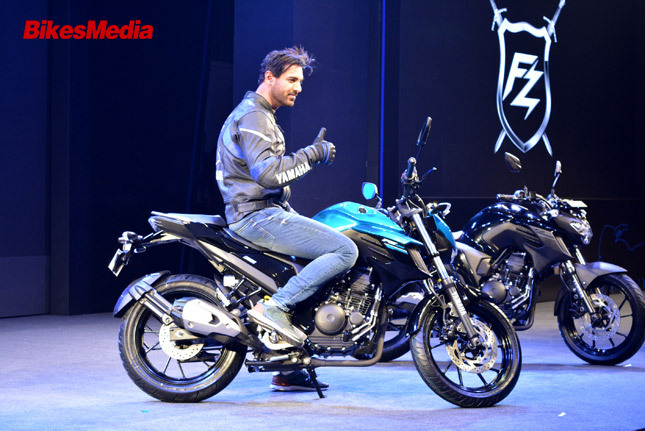 As a result, the FZ-25 is the most fuel efficient 250 cc bike in its segment. It has a decent amount of torque but not a lot of Horsepower. 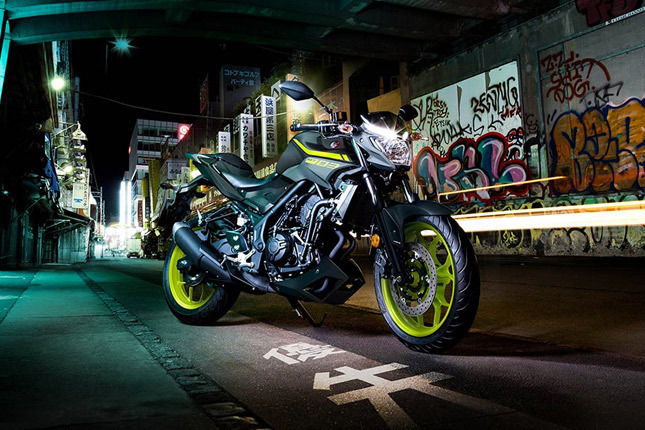 The Yamaha MT-03 is an entirely different breed altogether. It is a twin cylinder bike which makes around 41 HP and 29.6 Nm of torque. The bike has similar specs as that of the Yamaha R3 but in a different set of tune. The “MT” stands for “Master of Torque”, so you can imagine the bike to make a flat torque curve like the R3. 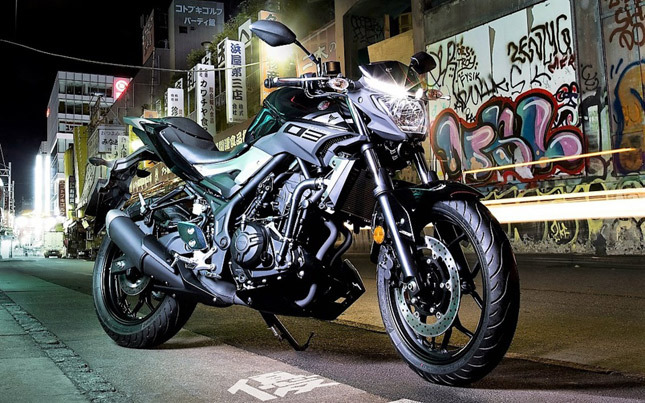 The MT-03 is a bike, meant for European markets and for North America, that’s why it features top of the line features like a 4-Valve engine, Liquid cooling, Fuel injection and ABS. How do they perform? 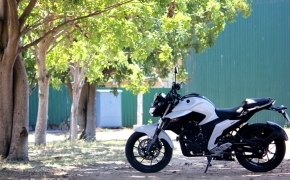 While Yamaha FZ-25 is an everyday commuter with focus on Torque instead of Horsepower. The MT-03 runs more or less like a Yamaha R3, with a focus on Top Speed which is achieved by High Horsepower and quick acceleration, achieved by a flat torque curve. 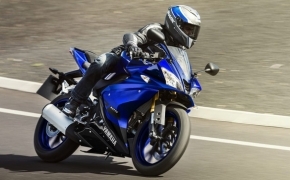 While the 300 cc model isn’t the best place to categorize a bike as “Master of Torque”, Yamaha does it anyway to retain a slice of market share. Just like every manufacturer, except the KTM, Yamaha too wants to avoid the problem of making too large of a single cylinder. 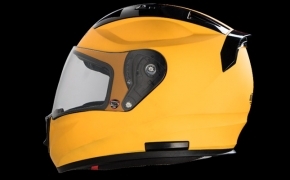 With its inherent vibrations and Rev-limit, the bike loses out on a good slice of top speed. 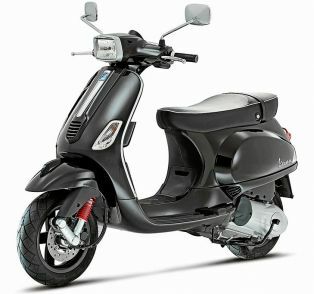 Actually the bike was available with a single cylinder when it was launched in 2004, but as the market evolved and people desired more speed, Yamaha had to swap in R3’s motor in, not because of lack of innovation but due to the fact that new A2 license restrictions had just been put in place, which limited the amount of Horsepower a motorcycle can have before going on-road. So that’s why the world got the MT-03, a naked R3. And it performs like one too, with a top speed of 178 km/h, six gears and a flat torque curve, the MT-03 is a bike, made to live in the middle and high revs. 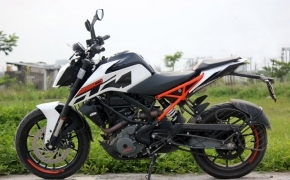 Compare it to FZ-25, which feels comfortable in the low and medium revs, due to its single cylinder. What else? The Yamaha MT-03 gets a host of accessories for it, which FZ-25 does not get. 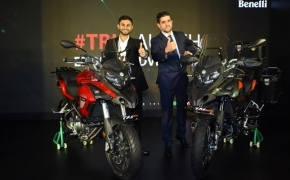 It retails at a price of around 4999 pounds, which is equal to Rs 3.68 lakh, while the FZ-25 is available at just Rs 1.19 lakh ex-showroom. Will it come to India, not exactly. 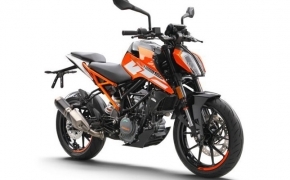 As long as affordable single cylinder motorcycles like KTM 390 are available in India, twin cylinder 300 cc bikes will have a hard time finding their place. 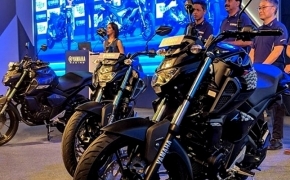 Yamaha shocked the India market after the launch of the FZ25, the motorcycle proved to be a slobber knocker for its price tag. The FZ25 will be loved by riders of any kind or size. 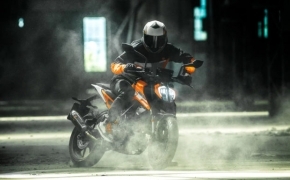 The KTM Duke is a class leader simply because it is really quick and fun to ride at almost every RPM range. Both the motorcycles are priced under 1.5 lakhs Ex-showroom. 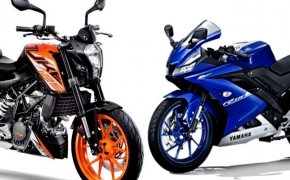 Can the Yamaha FZ25 dethrone the current king of the 200cc segment the KTM Duke 200? Let's find out. 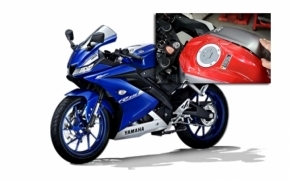 Yamaha YZF-R15 Vs Yamaha FZ25- Which One Would You Prefer? 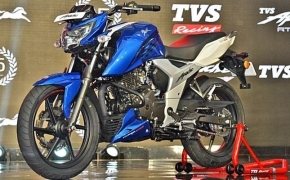 Yamaha has brought in their new baby in the market the FZ25, a machine that sounds dull on paper but performs and looks extremely thunderous in reality. 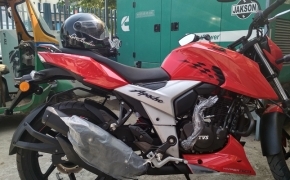 But the twist in the story is that the FZ25 and the R15 both motorcycles offered from Yamaha are placed at the same price tag. So which one would you prefer? The new child in the market or the ruler of the market since 2008? 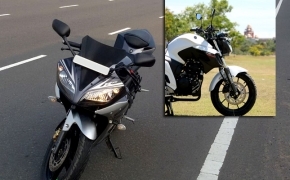 There is an old saying that says, don't trust anything unless you witness it, initially I wasn't very impressed with the Yamaha FZ25's looks that were shooting up on the Internet, but the whole impression changes when I saw the motorcycle in flesh. 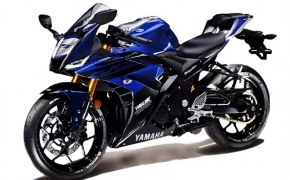 The eagerness started to grow more and more as the demand for the motorcycle started to increase in a flash, the people wanted to witness the motorcycle for its killer pricing and reliability simply because it is a Yamaha. So we at BikesIndia got our hands on the Yamaha FZ25 and here's how it surprised us. 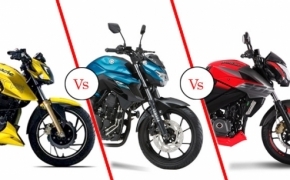 With the recent launch of Yamaha FZ25 and the relaunch of Bajaj Pulsar NS200, the sub 250cc Power commuting and sports touring segment just got more options to choose from. 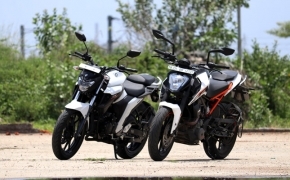 We compare these two with the TVS Apache RTR 200 4V and make an overview of these bikes in terms of performance, equipment and reliability in the following article.